2,The last thing you want after buying a new home is to find mold. You’ve already spent a considerable amount of money on the home and now you’ll have to pay for a mold remediation on top of it all. If you insist that the previous owner gets a mold inspection, though, you can avoid this issue. You’ll find out for sure if there’s mold and you’ll be able to hold the original owner accountable for remediation costs. Another way to benefit from a mold inspection is getting a lower price if the home does have mold. If the original owner doesn’t want to bother with remediating, you should insist on a lower price for the home. 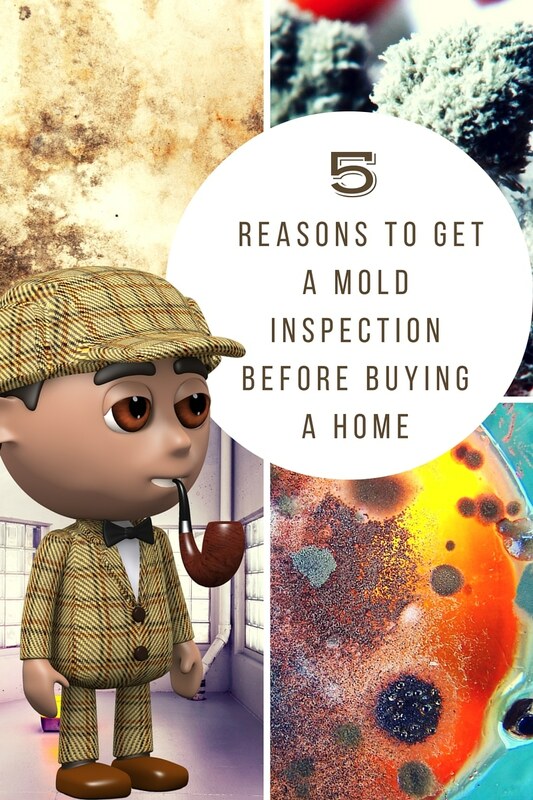 Whether they pay for remediation or you get the price lowered, you’ll greatly benefit from getting a mold inspection before you purchase the home. Mold inspections aren’t just about the financial aspect, though. Mold growth can tell you a lot about a home. Does the basement tend to flood? Are there lots of leaky pipes in the walls? Was the previous owner simply negligent in keeping the home clean? A mold inspection can answer all of these questions and help you decide whether this home is really right for you. Mold is incredibly dangerous for your health, so there’s no reason to take risks. If there is mold in your new home, even if you plan on remediating, you don’t want to spend much time in the infested area. Mold exposure can cause a number of symptoms, like coughing, wheezing, congestion, hives, and more. That’s why it’s important to know about mold growth sooner rather than later. Peace of mind may seem like a minor reason in comparison to the other ones, but it’s still important. Buying a new home is a big decision. It’s where you’re going to live for the next few years, if not the rest of your life. So it’s important to feel sure about your decision. You’ll feel better knowing for sure whether or not there’s mold. So don’t make the mistake of not getting a mold inspection. Get yourself the peace of mind you deserve, by having your new home inspected for mold before you buy it.